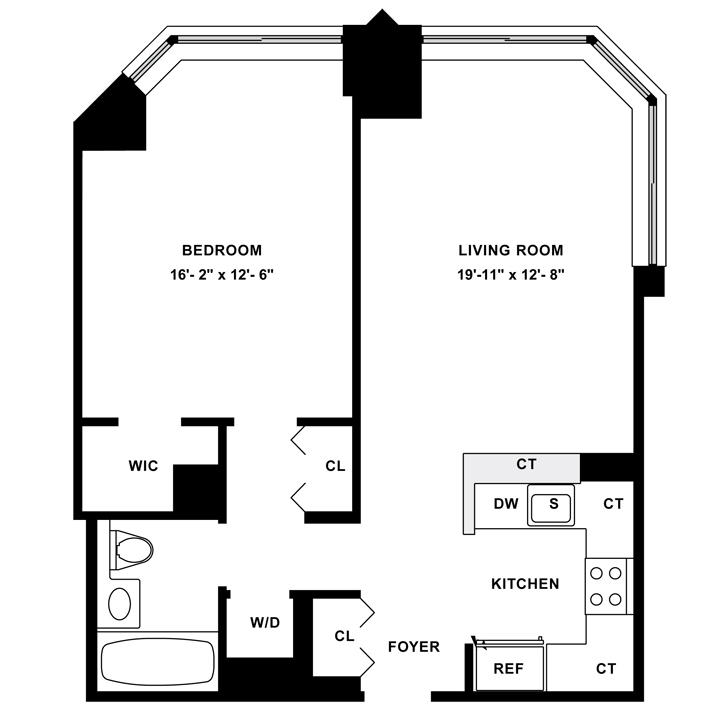 Listing 7797 - Barclay Tower: 1 Bedroom 1 Bath in Downtown — $4,495/mo. KING SIZE ! One bedroom home with Granite kitchen tons of closets space and a washer and dryer in the unit ! Call today to view today ! Sophisticated Lobby: Featuring Barrel vaulted ceilings, floors of Aquamarina marble bordered with handmade mosaic stone borders, octagonal coffered ceiling, French chiseled limestone walls and cornices plus a central paneled lobby with tranquil seating areas of Japanese Tamo and Teak. Elegant Corridors: With alabaster lighting fixtures, custom wall sconces, crown moldings, chair rail and base with decoratively framed apartment entry doors. High-Speed Passenger Elevators: With Rojo Alicante wainscoting and statuary bronze bordered wall panels plus separate service elevator. Amenities: Fully equipped fitness center, cheerful children's playroom, elegantly furnished tenants lounge, 50 ft. exercise pool and whirlpool, outside sundeck, air conditioned laundry facility.